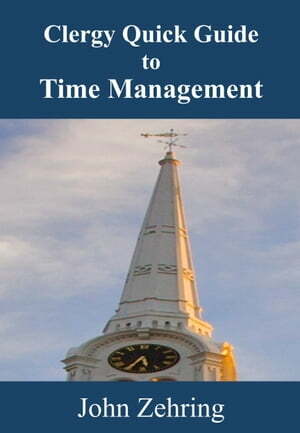 Collins Booksellers - Clergy Quick Guide to Time Management by John Zehring, 9781370287598. Buy this book online. This booklet practices what it preaches: it is concise, to the point, and encourages effectiveness over efficiency. The goal: to give you tools that are quick to comprehend, easy to implement and will multiply what you can accomplish. In short, it will help you to work smarter, not harder. It will also aid you to avoid missing what your paycheck providers value most. Effective time management can make or break a pastor. Learn effective tools to help you make the most of your time and have time left over for yourself and your family and interests.